Tourism & Transport Forum (TTF) will host our inaugural ‘The Future of Place’ event on April 12 at the Art Gallery of NSW. To launch the series we are very excited to be able to bring to you as keynote speakers the creators of two of the world’s most innovative examples of urban regeneration projects – Robert Hammond Co-Founder and Executive Director of New York’s famous High Line, and Dan Barasch the Co-Founder of the city’s subterranean counterpart, Lowline. Hammond will share how the once the abandoned West Side Elevated rail line that had become an eyesore was transformed into an elevated public park and a major tourist attraction, and Barasch will outline his vision to create the world’s first underground park below the streets of Lower East Side in the Williamsburg Bridge Trolley Terminal. 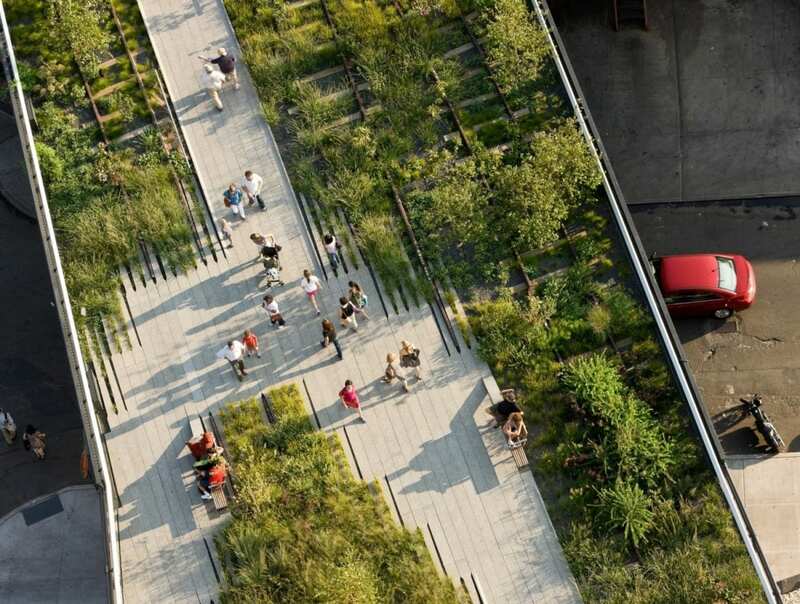 The High Line and Lowline projects are both inspirations. The developments embody how cities can transform industrial infrastructure into beautiful, hybrid public spaces and we are honoured to have Robert and Dan join us. Following their presentation Hammond and Barasch will be joined by Lendlease’s Head of Urban Strategy and Place Development, Seamus McCartney and the Art Gallery’s Deputy Director and Director of Collections, Maud Page for a panel discussion about the placemaking movement. Lendlease were behind one of Sydney’s most successful recent examples of placemaking the Barangaroo precinct and the Gallery is on the cusp of its very own transformation with the Sydney Modern project. Our series is particularly timely with the concept of placemaking gathering more and more traction with Premier Berejiklian about to appoint the State’s first Minister for Public Spaces. We know that the rapidly increasing proportion of people living in the urban area carries great challenges, but also presents great opportunities. The Future of Place series will provide stakeholders from across our sectors an opportunity to explore as a group, the problems that many cities face in the future, and hear from leading experts on how to create destinations which offer greater value to the community and visitors to the city. The sheer number of people who live in cities now and who are expected to move into them in the coming years is startling. Around two-thirds of the world’s population is predicted to live in an urban area by 2050. While there is an ever-increasing demand for housing, securing open space in city centres is tough. This hasn’t stopped city planners and design professionals the world over from inventing new and innovative ways to incorporate green spaces into urban structures. Green spaces are imperative to the sustainability and life span of a city. Parks and other community-focused green spaces not only inject life into the urban centres they inhabit but are also paramount to the health and wellbeing of the people who inhabit them. As TTF moves through the Place Making Series we will explore and discuss other area including Transport Hubs and Community spaces. We hope you can join us on the day for what promises to be a great event.